Jie-do, the main temple of Kitain, which was built by order of Tokugawa Iemitsu, the third shogun, is a tourist attraction together with the only remaining structures of the original Edo-jo castle which were moved here from Tokyo. 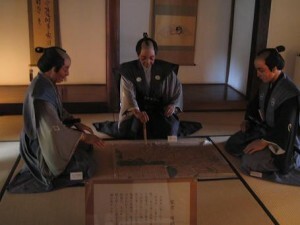 You can spend even a whole day in a blink of eyes looking at Gohyaku-Rakan stone statues. The only remaining building of Kawagoe-jo Castle built 160 years ago in 1848. 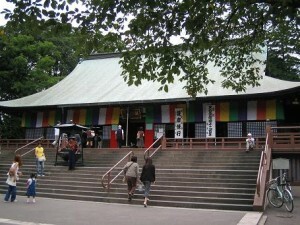 The Ichiban-gai Street is lined with Kurazukuri, or 100% fire-resistant houses which are more than 100 years old. 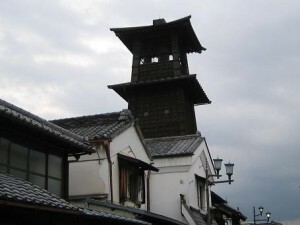 .Toki-no-kane, Time Bell Tower is said to be the highest wooden belfry in Japan. The gentle sound of the bell may make you feel relaxed. There are many other exciting spots to visit, such as the Image of ascetic Buddha Sakyamuni, Kurazukuri Daubed House Museum, etc. If you walk around with a guide, you can enjoy a lot more than walking alone.